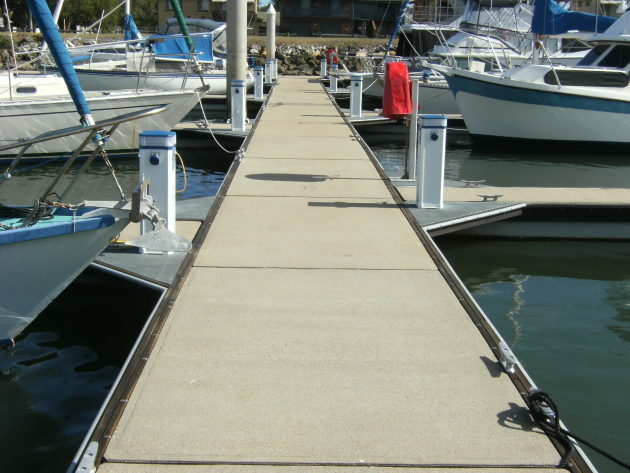 New walkways mark first stage of redevelopment of northern NSW marina. Yamba Marina on the NSW north coast has undergone a major upgrade to berth and visitor facilities with work now complete on three of the marina's four fingers. 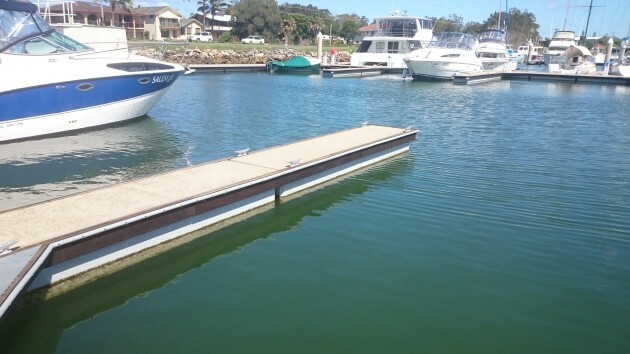 Working with Complete Marine Services from Brisbane, the marina has replaced all timber whalers on the first three fingers, replaced all timber inserts with fibreglass inserts, and replaced all rollers on the marina piles. It also installed all-new power and water pedestals. The old timber whalers have been replaced with Hardwood Timber F17 H4 Spotted Gum coated with lanotec. Additional strong-backs have been added where needed and heavy duty fendering has been added to the fuel pontoon. More than 900 metres of new berth fendering is now in place with high-vis reflective berth numbers to make mooring in the dark easier. The new 800mm XL pedestals supplied by Marine Technologies feature two 15 amp power outlets, one water outlet and energy saving lights with an opaque diffuser lens. Special panels in the fibreglass inserts (designed by Complete Marine) allow easy access to the pedestals' services. New cleats have been used on all fingers and the fire hose reels have been upgraded. To improve the visitor experience, floatation has been added to the fuel dock and new water and pump-out fittings added. Complete Marine Services was able to carry out all the work required without disruption to the daily operation of the marina. The second stage of the upgrade will take place later in 2016 with work on the final 31 berths. Yamba Marina is also currently working on a major development of its land-based activities with plans to include new buildings for retail and commercial activity and tourist based accommodation options.